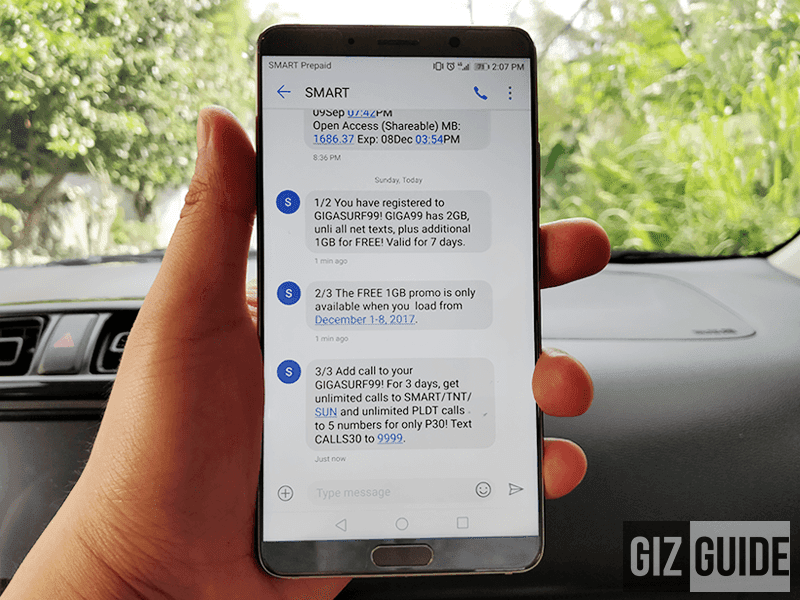 Smart's GIGA 99 w/ 3GB data is back for a limited time! Home / mobile / services / smart / Smart's GIGA 99 w/ 3GB data is back for a limited time! Smart's GIGA 99 promo is back! Aside from the regular 2GB mobile data, subscribers will enjoy an extra 1GB of mobile data for a limited time this December. Smart GIGA 99 w/ 3GB data is back! From December 1 to December 8, 2017, subscribers will enjoy a total of 3GB data from the Smart GIGA 99 promo. The promo is valid for a total of 1 week. It'll also go w/ unlimited text to all networks during the same period. Related: Smart announces Game Time promo, PHP 50 for 7 days of mobile gaming! To register, simply SMS GIGA 99 and send it to 9999. In addition, Smart also told us that they'll have more exciting promos after this. Let's all stay tuned in the next few weeks and hope for the best deals possible.